People’s taste in cars can be wide and varied, but there’s one car that’s usually universally appreciated as being one of the all time coolest rides on the planet. Along with James Bond vehicles of course. Boys and grown men alike love this car because there have been iterations of it through the years to suit almost any taste. Many of us grew up with it, had figurines and toys of it, read comics about it, watched films that featured it, and cheered on when our favourite superhero drove it. Each vehicle was a product of its time, designer and director, but they had two things in common. Firstly, that they were driven by Batman, and secondly, that they were undeniably radical. The original ‘live action’ (that’s moving film and not the comic book) Batmobile was commissioned in late 1965 for the 1966-1968 television series and subsequent movie. It was modified by George Barris and originally designed by Bill Schmidt and John Najjar Ferzely. Why it’s so cool: The car was originally a one off Lincoln Futura concept valued at over $250,000 – the equivalent of $2,200,000 in 2014 – which was built by hand in Turin, Italy. 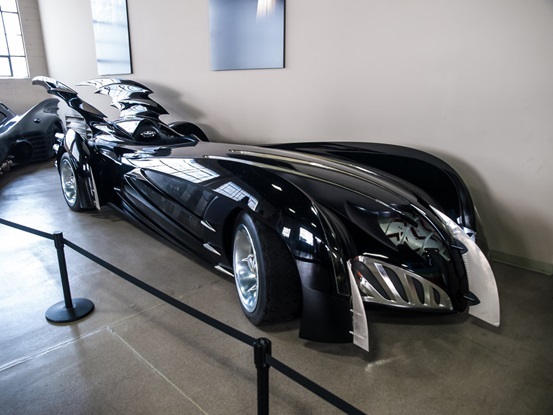 The Batmobile underwent a complete makeover when director Tim Burton took on the Batman franchise for Batman and Batman Returns. Fans were eager to see the superhero and his car step away from the camp 1960s aesthetic and move towards a more serious profile. The result was an Art Deco inspired design by Anton Furst. Why it’s so cool: It had grappling hook launchers and a central pillar that could lift the car and spin it 180 degrees. It was also built on a Chevy Impala chassis. That’s right – Batman was a baller. 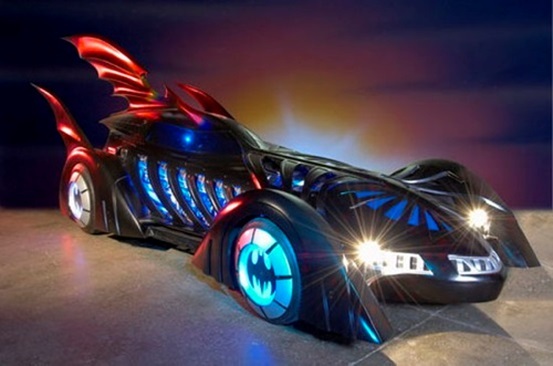 The Batmobile changed once again in the hands of a new director, Joel Schumacher, for Batman Forever. The new ride was designed by Barbara Ling and seemed to divide fans in a hate or love it kind of way. Clear aesthetic additions were the stretched wings and illuminated wheels. 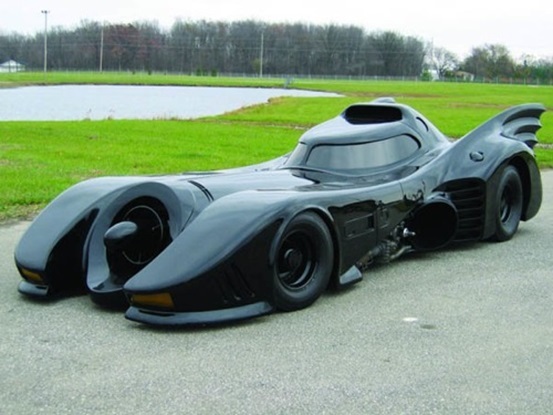 The Batman & Robin Batmobile of 1997 did away with the passenger seat and canopy yet continued with light-up wheels and engine panels from the 1995 model. Designed by Harald Belker, it had a ‘T’ axis wheelbase, which supposedly allowed for high velocity 90-degree turns. 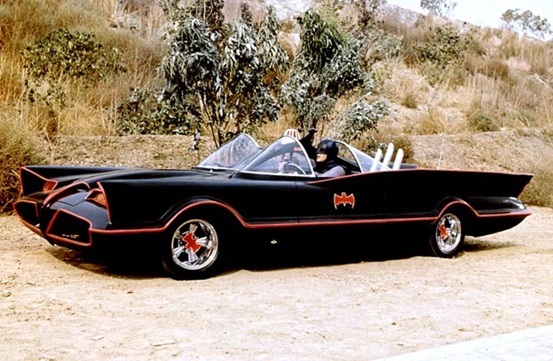 Why it’s so cool: For those with a finer eye, there is a batmask incorporated into the front of the car, and the unmistakable wings on the tail are the highest to ever be built into a real Batmobile. Basically, it looks amazing! Goodbye Clooney and hello Christian Bale. 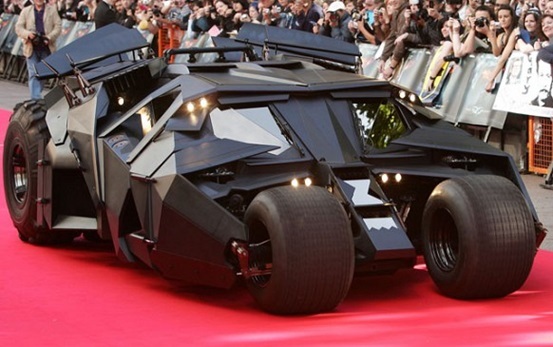 Gone were the quirks of the late 90s as fans were treated to the Dark Knight Trilogy and its badass Batmobile, named ‘The Tumbler’. The car has been described as a cross between a Lamborghini and a tank – which is pretty much the coolest combination any madman production designer could ever dream up. A total of six working Tumblers were manufactured, including one 1:3 ratio radio controlled electric model that was used to perform stunts. Why it’s so cool: If you need to be told exactly why this matte black, military inspired, weapon packed, jet engine Batmobile is cool…then you are probably powerfully uncool yourself…!